Despite a national trend of decline for UK universities in the rankings, the School rose two places to 35th in the world, and has surged 33 places since 2014. The result also places LSE in the top ten of universities ranked within Europe. 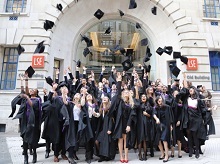 Within the rankings, QS places LSE as seventh in the world for its reputation among employers, achieving a maximum score of 100 out of 100. The School was also ranked seventh in the world for its international students, and ranked highly for international faculty, achieving the maximum score of 100 in both categories. These two factors are used by QS to measure the international appeal of universities. Earlier this year, the QS World University Rankings by Subject placed LSE as the top university in Europe for the social sciences, and second in the world overall. “LSE’s rise in this year’s rankings is a richly-deserved credit to our community of staff, students and alumni. The QS World University Rankings have been published since 2004, and are based on data for academic reputation, employer reputation, research citations, student to faculty ratio, and international students and faculty.